A native of Cixi in Zhejiang province (浙江慈溪), Yu was the son of Yu Yang-fan (虞颺勛), who was the proprietor of Ri Xin Sheng* (日新盛參藥號), a leading Chinese medicine business in Shanghai with branch in Osaka, Japan. S.S. went to a school in Shanghai whose headmaster Li Mofei (李墨飛, father in law of Rayson Huang, the first Chinese vice-chancellor of HKU) became the head of Chung Hwa Book Store, one of the leading modern publishing houses in the early 20th century. Li recruited S.S. to join Chung Hwa where he worked for 4 years until he quit in 1919 to join his family business. His first business venture – Mu Pin Rubber Factory* (務本橡膠廠) – went nowhere. One of his partners in his rubber venture was a pharmaceutical entrepreneur by the name of Kao Pei-liang* (高培良, 1894-1967) who proceeded to support him in his next three ventures. The proprietor of Ai Hua Pharmaceutical* (愛華製藥社), Kao was a protégé of Huang Chu-chiu (黄楚九, 1871-1931), the Richard Branson-like entrepreneur of old Shanghai whose many ventures included the Great Eastern Dispensary (中法大藥房), one of the earliest and largest Chinese-owned Western drug companies and the famous Great World (大世界) entertainment complex on Nanking Road. On a business trip to Japan, Yu was impressed by the development of the pharmaceutical chemical industry. At the time, most of the camphor used for production of medicine in China was imported. Upon his return to Shanghai, he formed Mei Long Spice & Medicine Factory* (美龍香料藥品廠) at 282 Ward Road to produce camphor with the support of Kao and six prominent Chinese-owned medicine companies in Shanghai including his family firm in 1923. Thanks to its product quality and strong backing, Mei Long was a success. In 1925, Yu moved into the production of peppermint related products such as peppermint oil and menthol crystals by forming Yung Zeng Peppermint Co Ltd (永盛薄荷), the first producer of its kind in China with the support of Kao and Fang Yexian (方液仙 1893-1940), who was known as the “King of Daily Use Chemicals”. A scion of a family of financiers from Ningbo and related to the Lee family of Xiaogang (most famous members in HK were Lee Tsu-yung, the founder of the Yung Hwa Motion Pictures studios and Tsufa Lee, the agent of Transamerica Occidental Life) on his mother side, Fang founded China Chemical Industries (中國化學工業社,CCI) in 1912 at the young age of 20 with his family backing to develop the domestic chemical industry and take back market share from foreign competitors who dominated the market. 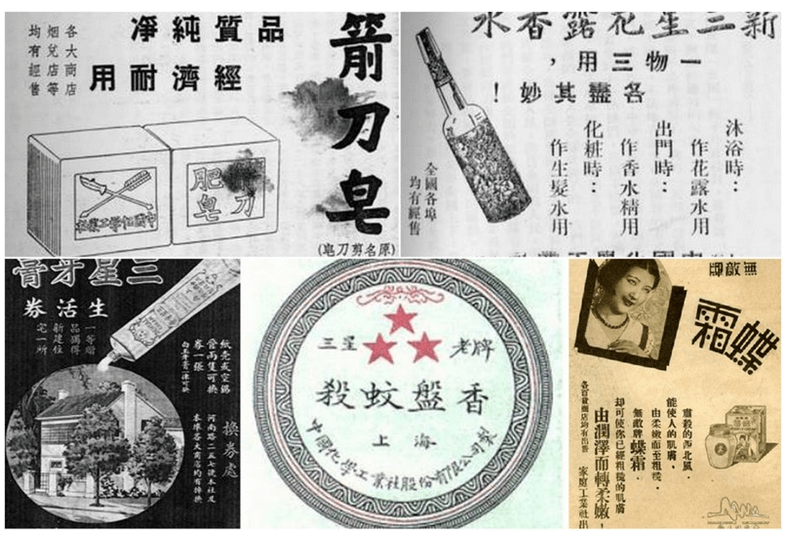 Within a decade, CCI had become the leading producer of personal care products such as toothpaste (first Chinese producer in 1923), soaps, mosquito repellants, perfumes etc under the “Three Stars” brand (三星) in Republican China. As an advocate for domestic industries, Fang also co-founded China Products Co (中國國貨公司), the leading Chinese products department store and established the Friday Lunch Club (星五聚餐會), a nationwide networking organization for like-minded entrepreneurs which S.S. Yu was likely a member of. Fang’s interest in Yung Zeng was vertical integration as CCI was still dependent on imports for raw materials of its products such as menthol which were mostly imported from Japan. To master menthol production, Yung Zeng hired a Japanese technical expert by the last name of Imagawa (今川鷹二) and sourced peppermint locally from farms in Kiangsu and other provinces. Yung Zeng’s Buddha brand of peppermint products were not only sold domestically to CCI and other firms but was exported to US, Europe and Southeast Asia. For its first decade, Yung Zeng had no domestic competition but by 1940 there were 20 competitors (many of whom traced its roots to Yung Zeng) and total exports of the menthol industry was over 340 tons. In 1933, Mei Long expanded its capital to $180,000 and subscribers included Lin Hang-hou (林康侯), a prominent business leader in Shanghai and other leading figures in the pharmaceutical business. With the new capital injection, a second factory was added to produce industrial alcohol. Led by another Japanese expert by the name of Haruo Wada (和田春男), the alcohol factory produced 3000 gallons of alcohol per day (also supplying to CCI), second only to the China Alcohol Distillery which was formed in 1935 by the Oei Tjong Ham family and the KMT government and was the largest factory of its kind in the Far East. When the Japanese attacked Shanghai in 1938, Yu moved to Hong Kong and set up Golden Dragon Metal Manufactory (金龍金屬製品廠) to manufacture screws. Together with fellow Shanghainese industrialists such as C.L. Hsu of Diaward Steel Works and John Yuen and China Can, Yu co-founded the Kiangsu Chekiang Residents Association in HK in 1939. Back home in Shanghai, Yung Zeng tried to protect its business through partnership with the German trading house of Melchers but after the outbreak of the Pacific War in 1941, production ceased as export routes were disrupted. Refused to collaborate with the Japanese invaders, Fang Yexian was killed by the Japanese in 1940. In 1953, S.S. Yu established menthol factory in Sao Paolo, Brazil under the name of Yung Zeng Industria Comercio S.A. and another plant in Asuncion, Paraguay which was producing over 5000 tons annually by 1962. While S.S. Yu kept a low profile, he had many prominent friends throughout his life including shipping tycoon C.Y. Tung (father of Chief Executive C.H. Tung) and famous painter Zhang Daqian. In fact, Yu was so close to Tung that Tung’s first residence in HK in Kowloon Tong was purchased by Yu on his behalf and Yu also helped Zhang purchased his residence in Brazil. In 1968, S.S. Yu went to Taiwan with two of his Shanghainese friends, V.J. Song of the Wheelock Marden group (see separate article on the Song brothers) and shipping broker Yao Shu-min (姚書敏) on a CAT flight which crashed. Yu and Yao miraculously survived the crash while Song and others such as Mrs. Lambert Kwok of Wing On sadly died. A devout Buddhist, Yu named his main product Buddha and donated to many Buddhist causes across the globe. 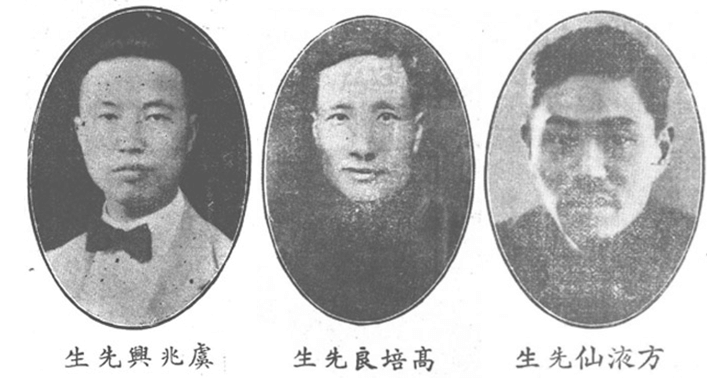 S.S. Yu and his wife Fong Han-feng (馮杏芬) had several sons who all worked in the family business starting from the 1940s. The eldest son Yung-Nien Yu (虞永年, 1921-) served as managing director of Yung Zeng in HK. 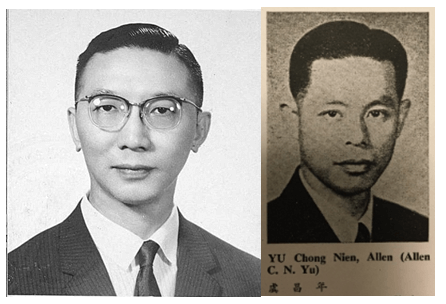 His fourth son Yu Hong-nien (虞洪年) and sixth son Michael Yu (虞劼年) were directors of Yung Zeng and ran the Brazilian and Paraguay operations. S.S. was also supported by his brother Shao-long and his nephew Allen Yu Chong-nien (虞昌年,1922-) who graduated from Ta Tung University in Shanghai with a degree in chemical engineering and worked as acting director of the Committee of Rehabilitation for the Chemical Industries for the Special Commissioner of the Ministry of Economics in Shanghai from 1945 to 1947 before moving to HK where he served as director of Yung Zeng and manager of Golden Dragon. *denotes English names that are translations of Chinese names and not necessarily the actual English names of the firms/individuals. Others are actual English names of the firms/individuals. Yu Zhaoxing, Zhongguo jing zhi bo he, jiu jing, long nao, zhang nao gong ye shi zhi ji jing li bao gao. This article was first posted on 23rd July 2018. Kwong Sang Hong Ltd – first HK cosmetics brand – vision of angels in Central?